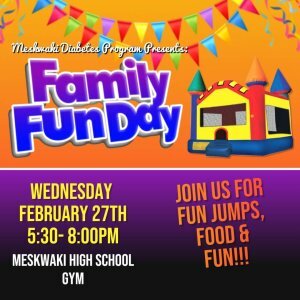 Meskwaki Diabetes Program Presents: Family Fun Day! Wednesday, February 27th from 5:30 – 8:00 pm in the Meskwaki High School Gym. Join us for fun jumps, food and fun!